If you are an unregistered (guest) user, you will be required to enter your credit card information each time you submit a new verification request. If you’ve registered a profile on Verification Services, you can save your secure credit card details, so you can skip this step. However, you will still be required to agree to the terms and conditions every time you complete a transaction. 1. 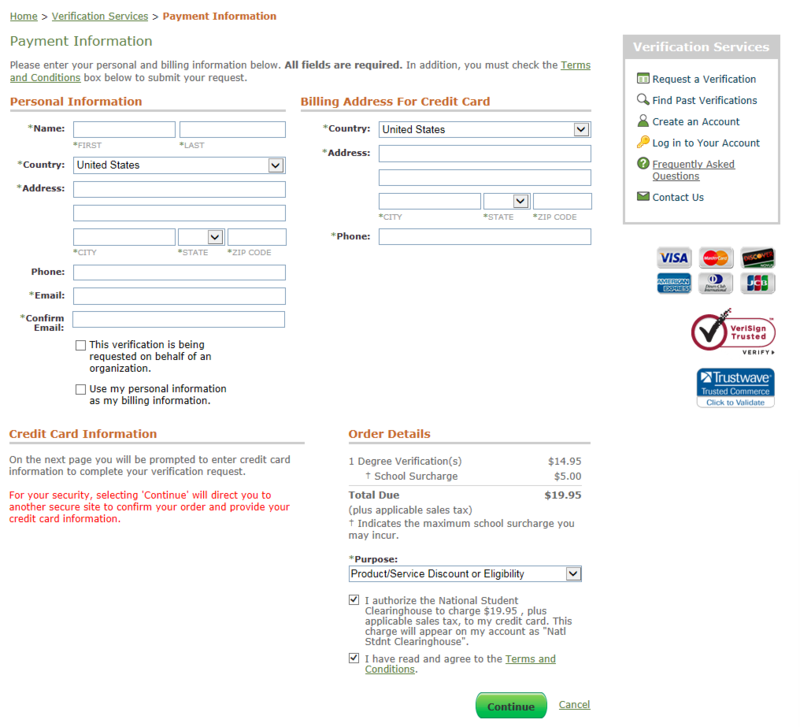 Complete the online credit card authorization form. Verification Services Unregistered (Guest) and Registered Users without a saved credit card will land on this page after providing their information on the ‘Verification Services Payment Information’ page. All fields on this page are required to be completed by the user. 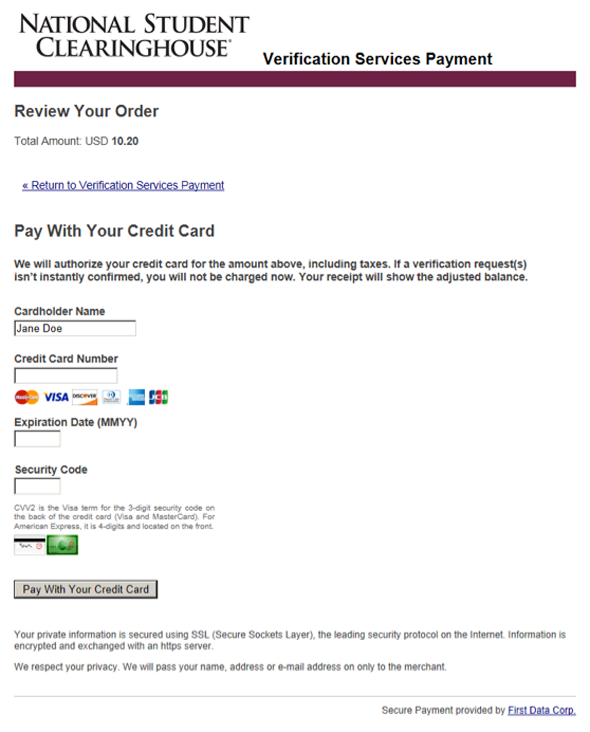 If a user wishes to return to the previous ‘Verification Services Payment Information’ page, they only have to select the Return to Verification Services Payment link at the top of the page. 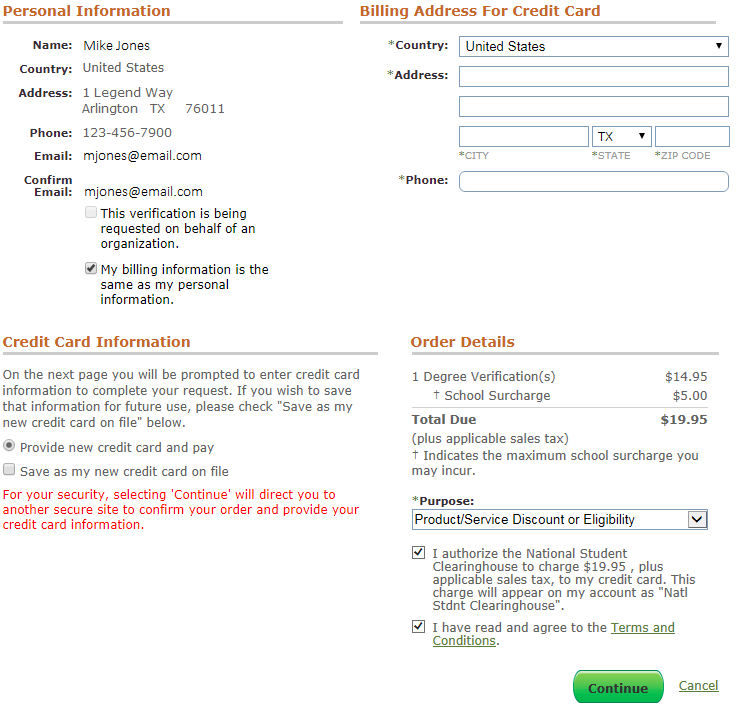 Once the user inputs and confirms the information on this page, they merely need to select Pay With Your Credit Card at the bottom of the page to continue with their request. 2. 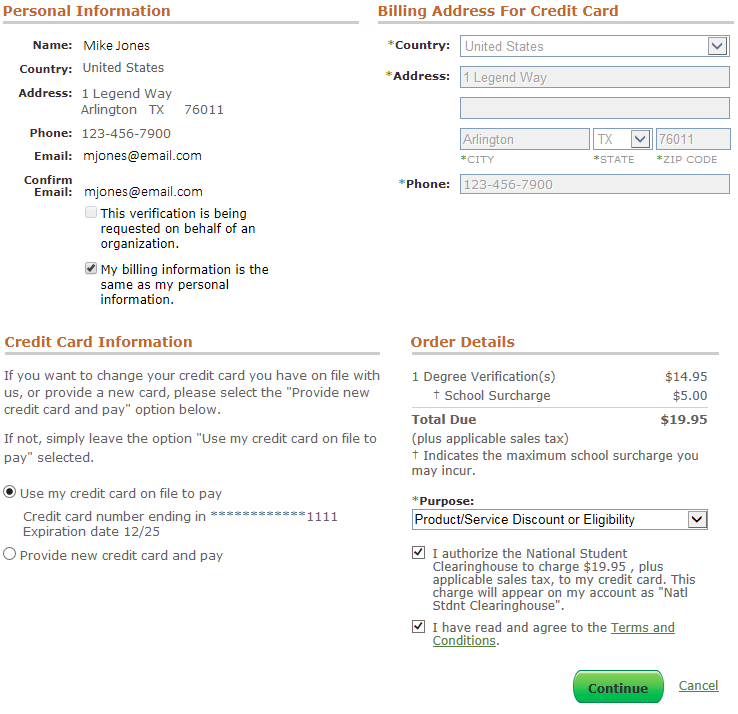 Select both checkboxes at the bottom of the “Payment Information” page. The first checkbox confirms the payment total which will include any applicable sales tax. Also read the Sales Tax Exemption topic. Once you select the second box, the Terms and Conditions pop-up will appear. Scroll down to read the agreement, and then click Accept at the end.